After owning a host of the usual track rats, including an Elise, an Exige, an Atom, and a Westfield kit car, Dennis Palatov figured that he could improve upon the superlight track-warrior. 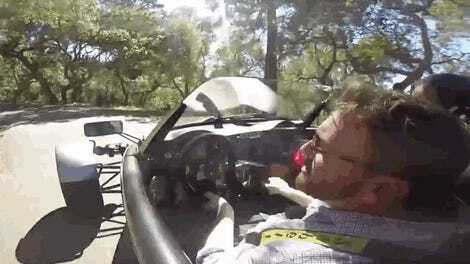 So, he started making his own kits, including one Pikes Peak-worthy beast that accelerates from 0-60 mph in 1.8 seconds. Minute Rice Channel spent the time examining several of Palatov Motorsport’s kit builds at Oregon Raceway Park, and what Palatov and his team cooked up is pretty amazing. The fastest of these, the D1, gets that insane 1.8-second 0 to 60 mph figure with a clever combination of 1,100 lbs, all-wheel-drive and over 430 horsepower. The turbocharged variant placed third at the Pikes Peak International Hill Climb in Unlimited Class this year. To put that feat in perspective, Unlimited Class is where nearly anything goes and the competition is insane. This year’s Unlimited Class winner was none other than Le Mans-winning Porsche factory driver Romain Dumas. Palatov, on the other hand, told Minute Rice’s Graham Dale in an email interview that he came from a computer engineering background—not an automotive one. He and the company’s five other employees from Portland, Ore., were largely self-taught on automotive design, but did it anyway because they love the sport. Amazingly, all of the cars’ custom components are made in-house at Palatov’s Portland headquarters. The other cars are just as impressive—and perhaps even more so considering the small team. The D2 is a more garden-variety two-seat LS V8-powered lightweight track kit for proven, reliable thrills. The D2RS features a supercharged LSA motor, thrusting the D2's 1,900-lbs forward with a ridiculous 660 wheel HP. It also went to Pikes Peak to win Open Class in 2015. Want to go smaller? There’s the D4, which makes an appearance here with a Hayabusa engine. It’s the cheapest of the three at $65,000—steeper than a beater Miata, but comparable to other track-focused cars—but you’ll still hit 60 mph in just 3.5 seconds, and as demonstrated in the video, you can tow it there with a humble Audi A4. 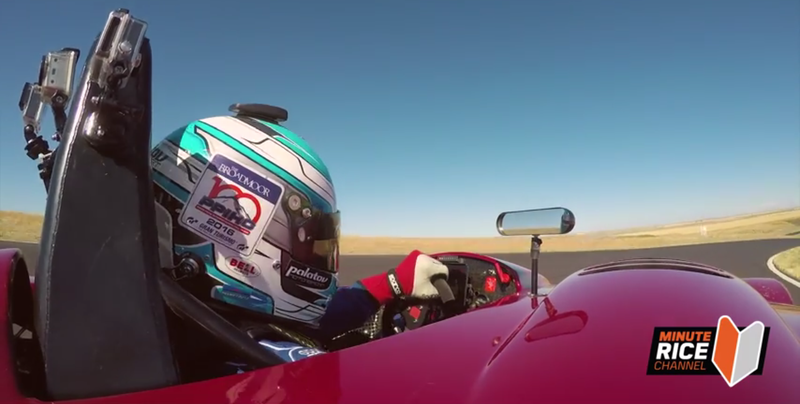 Why The Hell Would We Give This Guy A Track-Ready Ariel Atom 3S?